A unique "Best Practice" and "Lessons Learned" chapter framework, providing bite-sized, troubleshooting instruction on complex operation and maintenance issues across a wide array of industrial rotating machinery. Five chapters of completely new material combined with updated material from earlier volumes, making this the most comprehensive and up-to-date handbook for rotary equipment currently available. 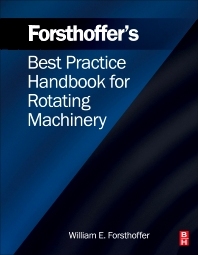 Intended for maintenance, engineering, operation and management, Forsthoffer’s Best Practice Handbook for Rotating Machinery is a one-stop resource, packed with a lifetime’s rotating machinery experience, to help you improve efficiency, safety, reliability and cost.